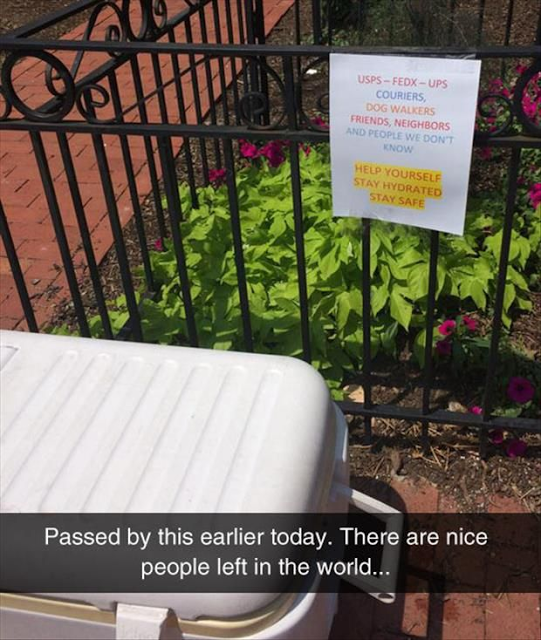 With all the bad things happening all over the world, it’s very easy to get depressed. 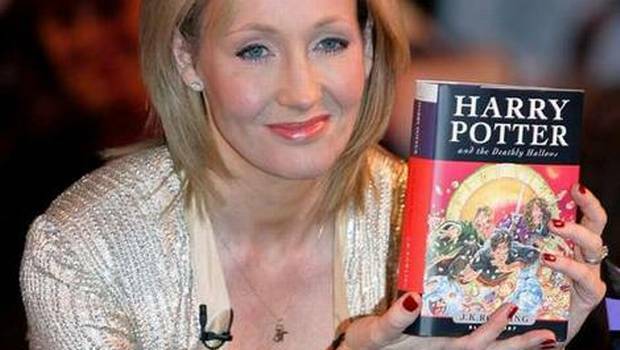 Every time you turn on the television, all you see in the news are stories of heartbreaks, crime, war, and hate. 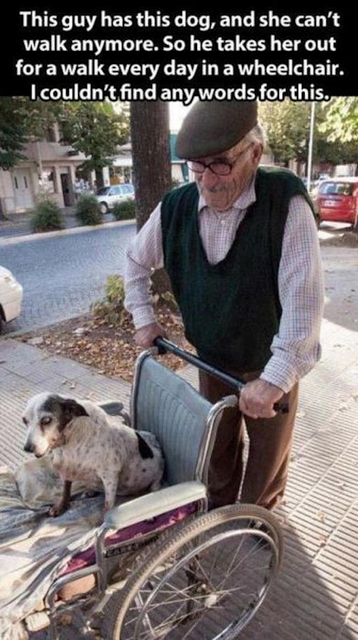 It may sound impossible, but there are still a lot of good people left on earth. 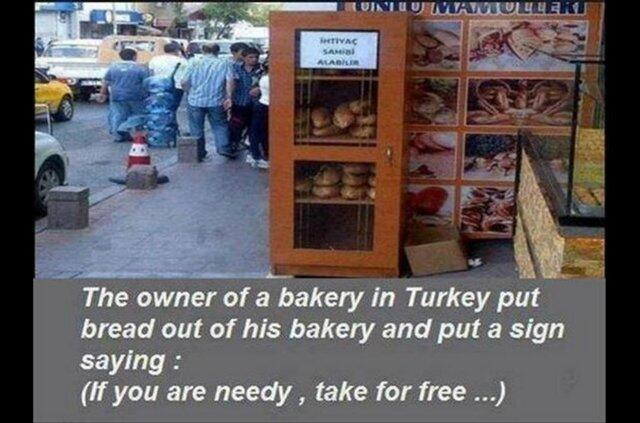 Although negative things are running rampant, kindness and compassion still exist. 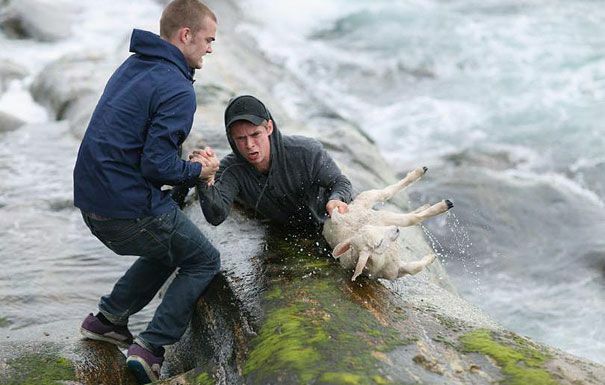 In the photos below, you will see selfless acts that will restore your faith in humanity. 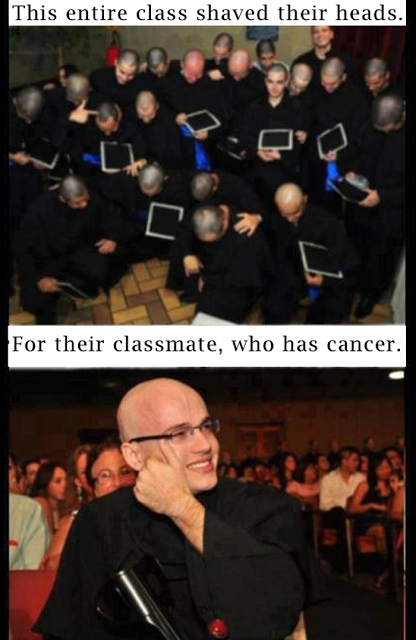 The man in the picture above is terminally ill. 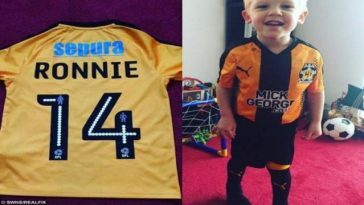 He was born with Down syndrome, and now he’s battling liver cancer. 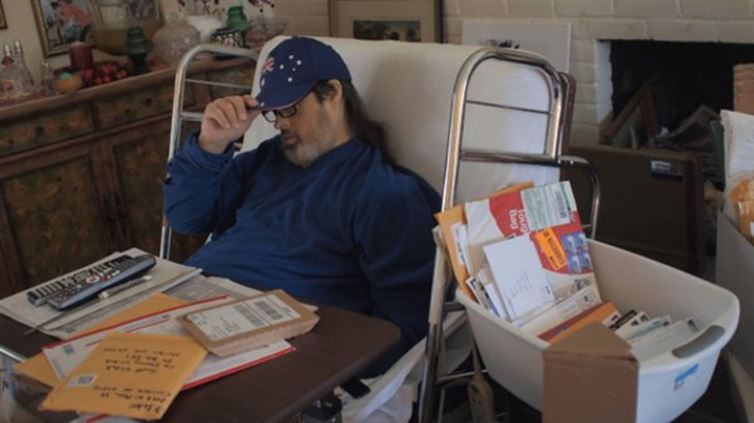 His nephew wanted to give his uncle the best gift he knew he would love—letters. 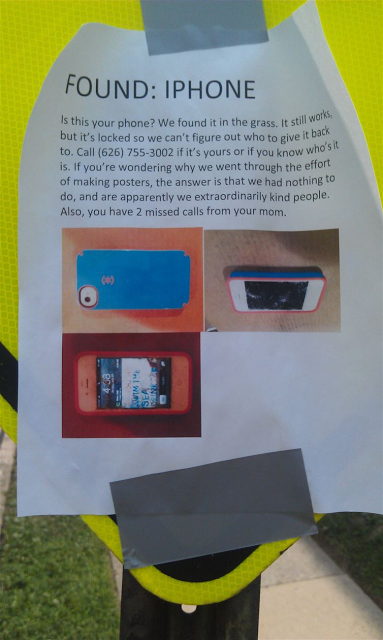 So he turned to the Reddit community to see if anyone would be willing to pen a message for his uncle. 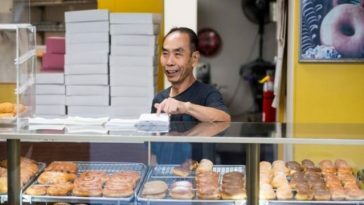 Surprisingly, hundreds of trinkets and letters poured in, and opening the mail, his uncle’s favorite pastime, has never been that heartwarming for him. 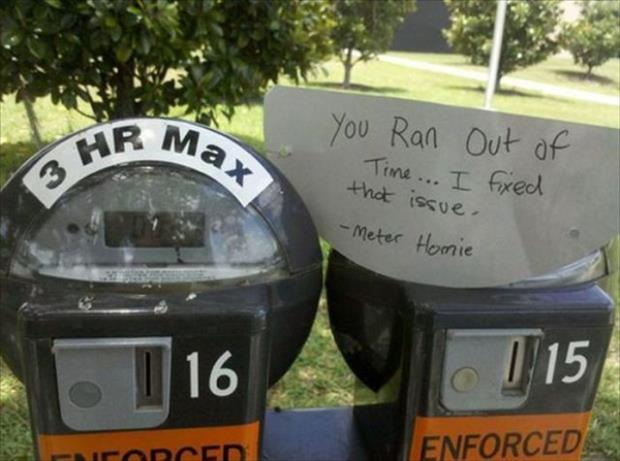 We’ve all been through a very exhausting day. 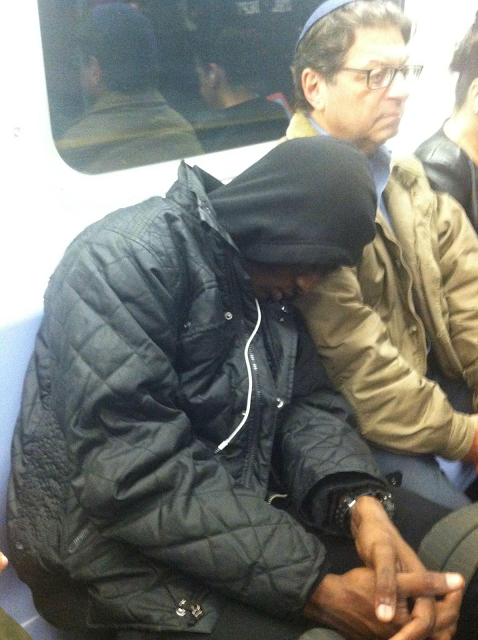 This man must have thought the same, and so he let a stranger sleep on his shoulder. 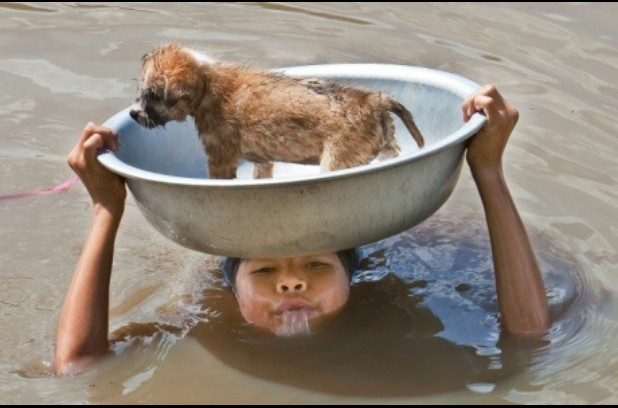 The boy could have just let his puppy go, but he just couldn’t let his best friend drown in the flood. 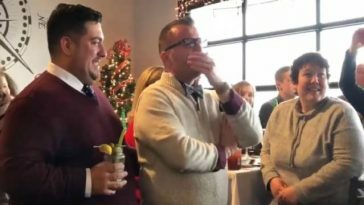 Instead of spending a lot of money on gowns and suits, these students saved all their bucks and donated it to a charity. 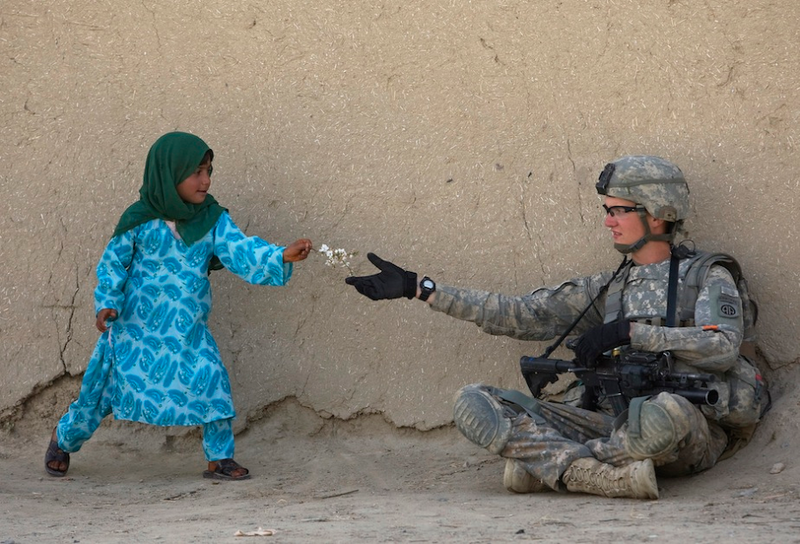 An American soldier receives a flower from an Iraqi girl. 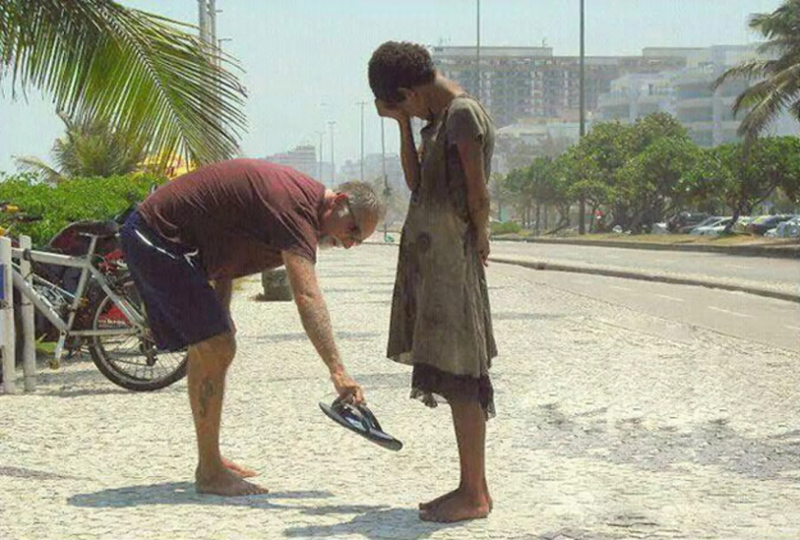 This man could’ve just walked past by this homeless girl, but instead, he gave her his slippers because he knew that she needed it more. 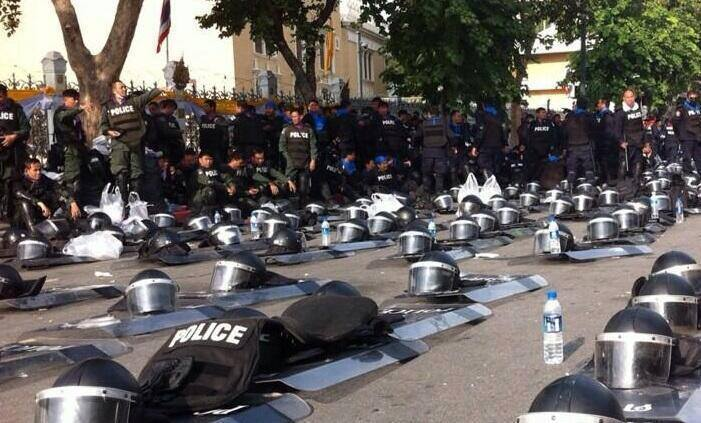 Riot police in Thailand were ordered to block the incoming protesters. However, they laid down their vests and shields as a sign of solidarity, ensuring that peace triumphs over conflict. Austin is a sixteen-year-old who simply loves to go fast. 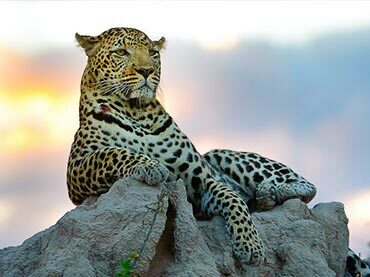 He loves the feeling of adrenaline coursing through his veins as he travels at top speeds. 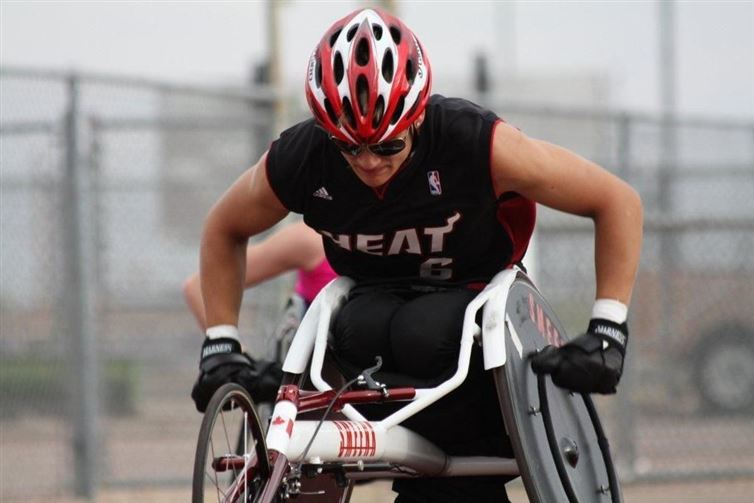 Unfortunately, he lives with paraplegia, making it almost impossible for him to do what he loves. 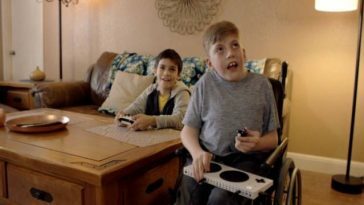 The Sunshine Foundation aims to fulfill physically disabled children’s wishes, and they wanted to help Austin turn his dreams of going fast into reality. They gave him a wheelchair that can be used in races. With his new chair, Austin participated in a lot of jousts. As of now, the dude has won four gold medals and has beat the Canadian record in an 800-meter race. 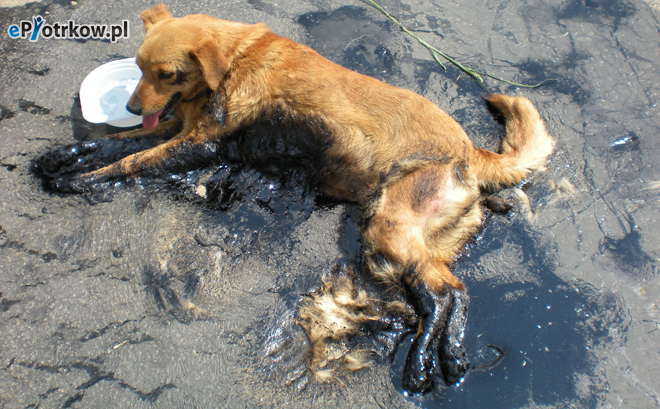 When police threw tear gas at people during a protest, a poor dog got caught in the crossfire. 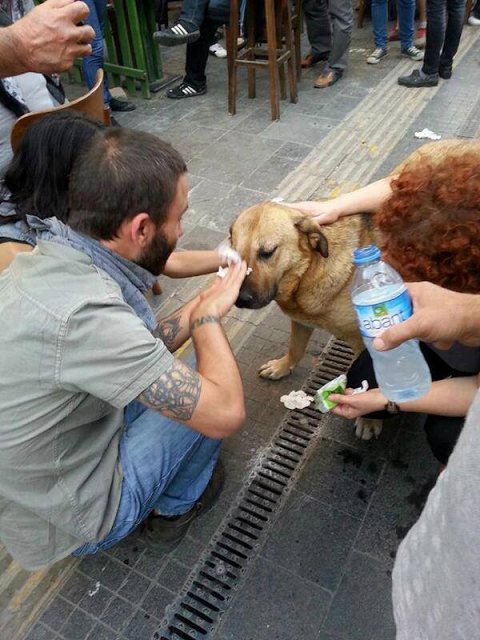 These protesters noticed the canine and applied first aid. 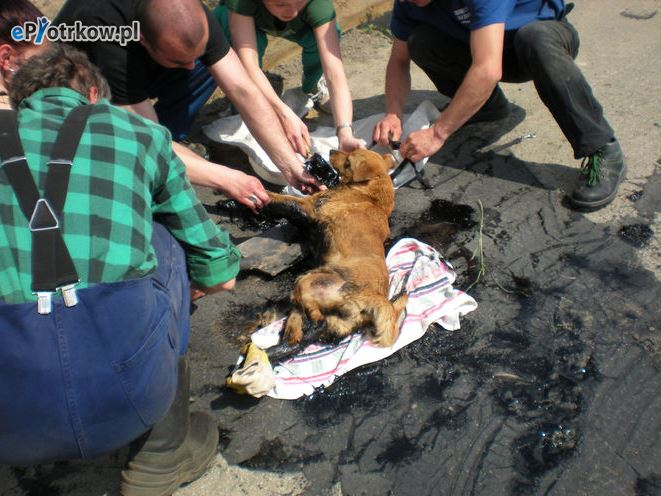 Due to very high temperatures, this stray dog was trapped in the melting asphalt. 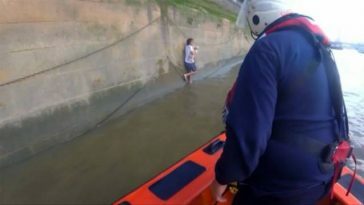 Fortunately, he was found by compassionate strangers who freed her and brought her water. 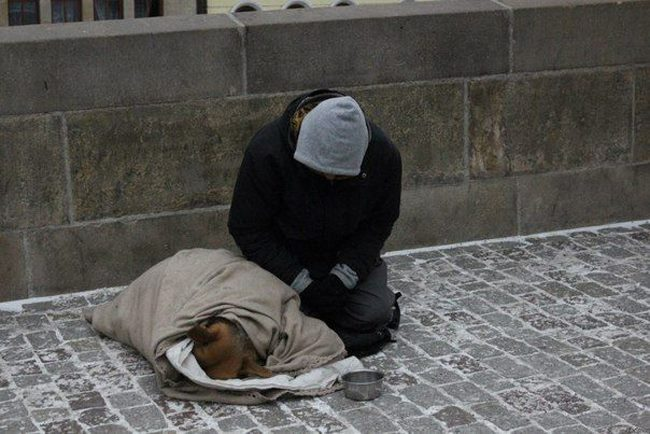 Hurricane Sandy was truly devastating. 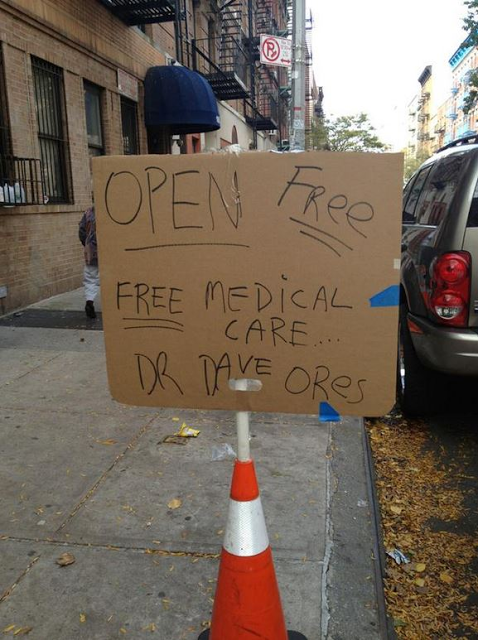 In order to help the neighborhood, this doctor offered free medical checkup. 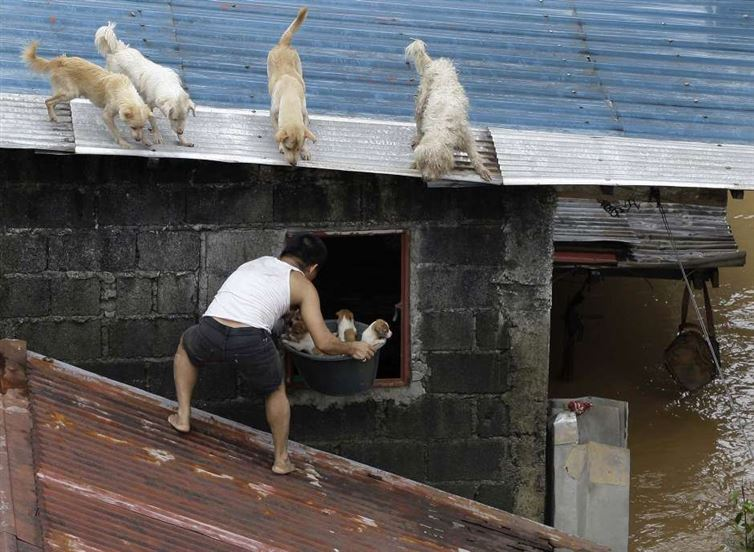 Fearing they would drown in the raging flood, this man took his canines up his house’s roof. 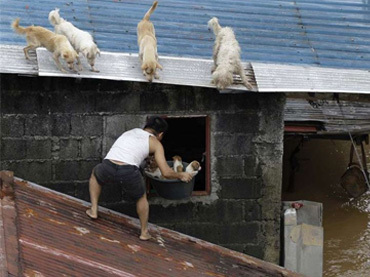 In the photo, he was caught placing the puppies on a basin and got them closer to their mother. 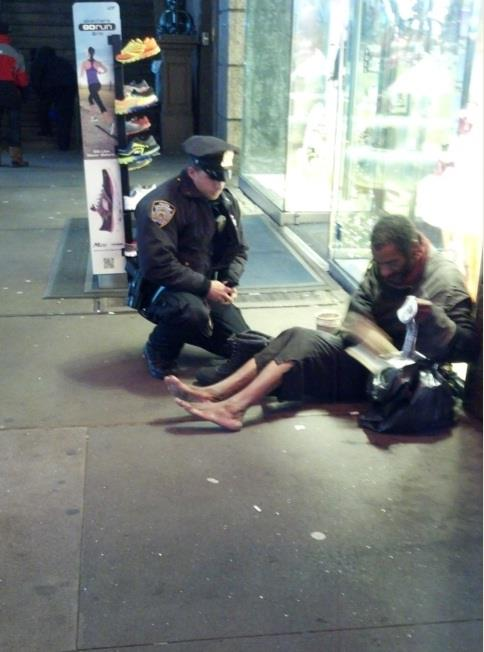 Instead of just giving a homeless man some change, this kind officer gave him all-weather boots and some socks. 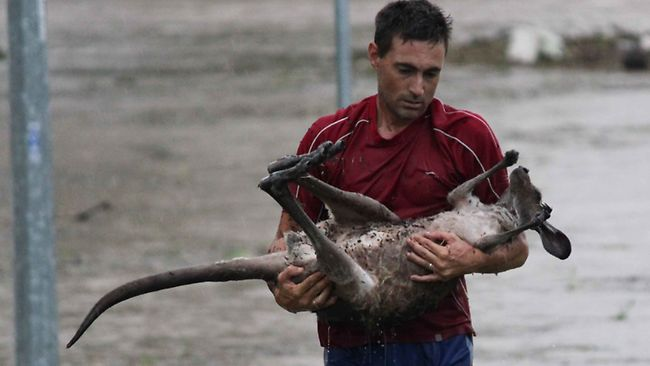 This man saw that a baby kangaroo was close from drowning, so he came into action and risked his life just so he can save the poor animal. 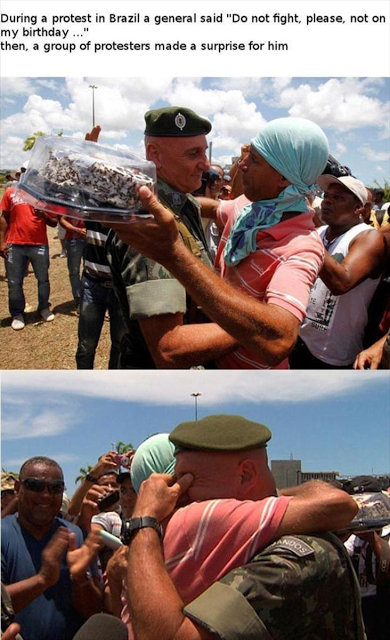 Because he didn’t want to see people fighting on his special day, this Brazilian general asked protesters to calm down for at least a day. Surprisingly, the activists came back not with weapons but with a birthday cake. 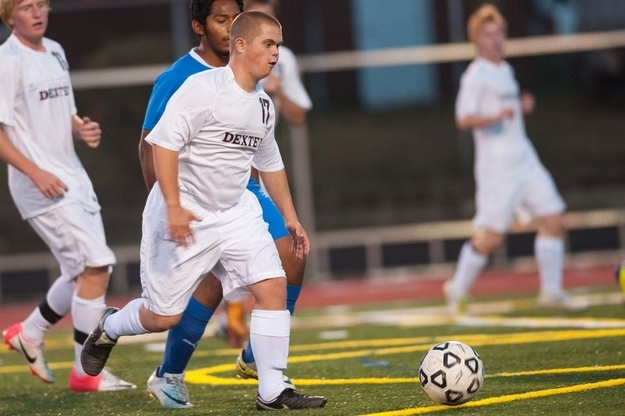 This is a photo of a young man with Down syndrome playing his first-ever soccer game. He was actually his teammates’ manager. 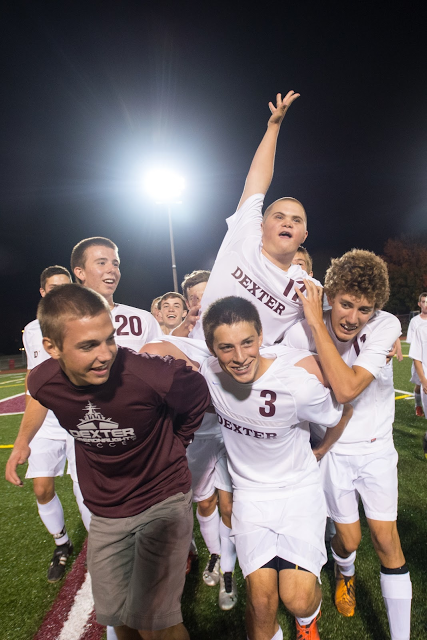 The group wanted to surprise him by giving him the chance to prove that he too can kick a ball and score some points. 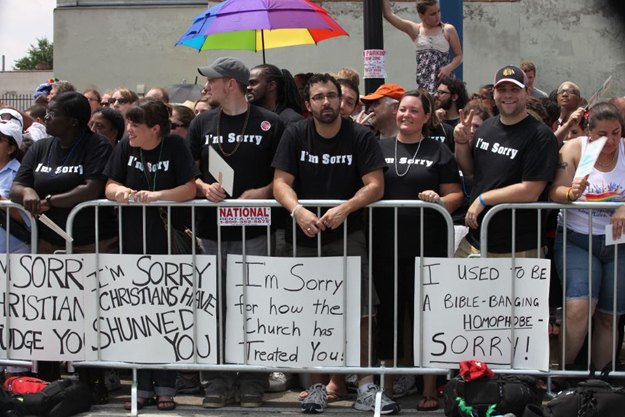 During a Gay Pride Parade, a group of Christians in Chicago apologized for the unfair treatment that the church is giving the LGBT community. 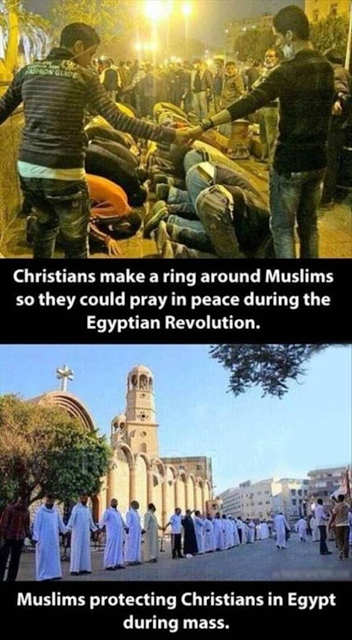 Muslims and Christians display an amazing exchange of mutual love and respect. 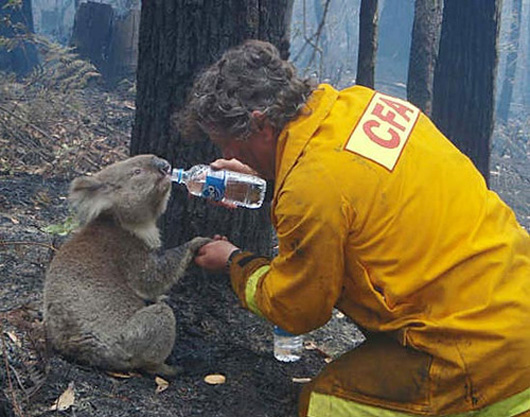 These photos are proof that not everyone in this world is contemptible. 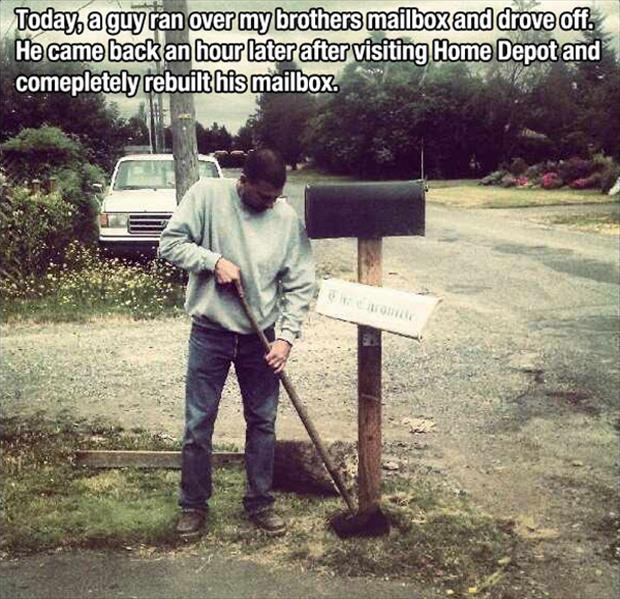 With more of these kinds of people in the world, better days are sure to come.